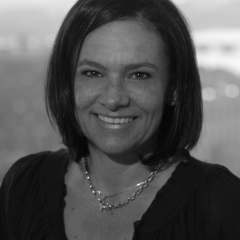 Claudia Urrea has over 20 years of experience in the field of Education and Technology. She currently works at the Strategic Educational Initiative within the MIT Office of Digital Learning in strategy, management and coordination for the new PreK-12 Initiative. Dr. Urrea also holds a research scientist position with the Lifelong Kindergarten group at the MIT Media Lab. Previously, she worked at the Interamerican Development Bank as a consultant in the Education Sector, and 5 years at One Laptop Per Child organization as Director of Learning. Her areas of interest include online learning and assessment, curriculum design, preK-12 and higher education, education for developing countries, teacher professional development, educational programming and robotics, and maker education. Claudia Urrea received an undergraduate degree in Computer Science from EAFIT University (Colombia), a Master's degree in Educational Media and Technology from Boston University and her doctorate degree from the MIT Media Laboratory. Her PhD thesis studied the implications of one-to-one learning in a rural setting in Latin America. She has helped multiple governments and non-government agencies to empower and support schools and communities of learners to evolve from traditional teaching methods into progressive learning environments.